Couple of years ago I saw a recipe similar to the one below. When I searched online, I could not find that recipe. The following recipe is a modified version of the one I saw online. 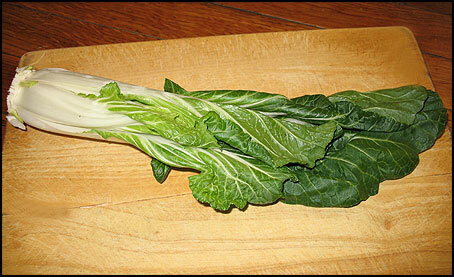 Bok Choy also called Chinese cabbage, often used in the Chinese cuisine. 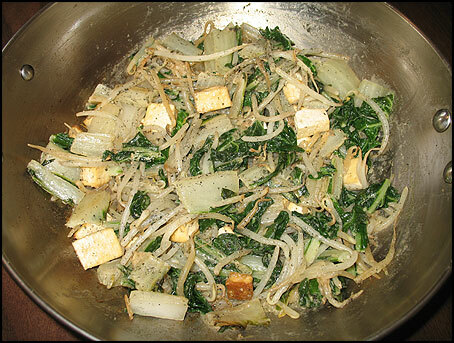 Drain tofu and wrap in a paper towel and leave for about 10 minutes – to remove all the water. 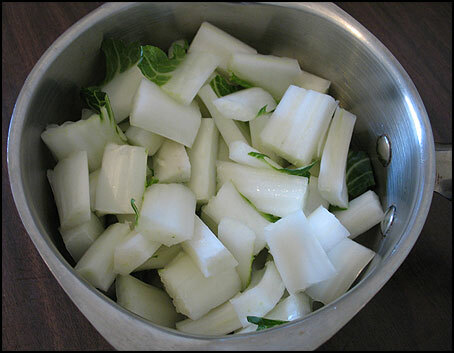 Cut the stems diagonally into 1 inch pieces. Then slit them into 3 or 4 pieces lengthwise. Roughly chop the leaves into about 2 inch pieces. Spray a cookie sheet with oil and spread the tofu and bake for about 15 minutes at 400F. 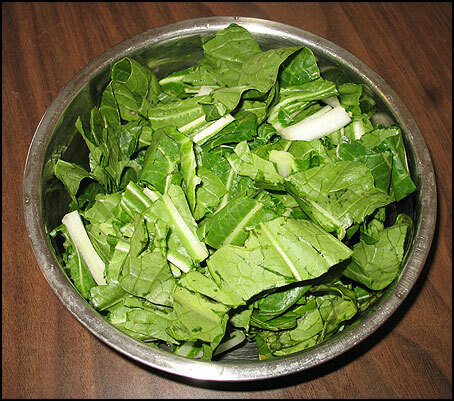 Add oil to a skillet and add Bok Choy stems and stir fry for about 5 – 6 minutes. Add sesame seed powder to the skillet and mix well. Note: I used black sesame seed for this recipe. But white sesame seed is better since it gives out a nice aroma and flavor. Since I did not have white sesame seed, I tried with the black ones. But when I made this recipe with white sesame seed, it was quite flavorful. OH! it is only 7am on sunday mornign in Paris and now your post is making me hungry!!! !